Replacing the glass in your car is a job for the experts. To maintain the safety the windscreen provides it requires skills that must be learned. This is not a do-it yourself job. The windscreen provides one-third of the structural integrity of your car. Not only does it protect you from the elements, it also protects you in case of a rollover, it is vital for the proper deployment of airbags, and it protects you from dangerous objects such as rock that may be kicked up by other vehicles. Fast Car Glass offers you the following tips for windscreen installation and safety. Tip Number 1: Inspect the damage to the glass. A chip in the glass can be repaired without replacing the windscreen but a large spider crack requires replacement. Technicians at Fast Car Glass will repair a chip or recommend replacement for severely damaged windscreens. Tip Number 2: All car glass is not manufactured the same. Dealer or OEM glass is manufactured to certain specifications that generic glass may not possess. Getting your windscreen replaced at a reputable repair facility will guarantee that the replacement glass has all of the same safety specifications as the original windscreen. Your safety, the safety of your family, and others driving on the road depend on you getting a high quality replacement windscreen installed in your car. Tip Number 3: Find the right repair facility to do the job. Do an online search or ask family and friends for recommendations if you have never had to get a windscreen repaired or replaced. 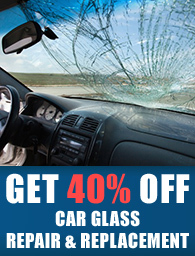 Windscreen repair and replacement is a job for professional glass technicians who have the proper tools for the job. Trying to do the repair yourself can result in a leaky window and more importantly present a safety hazard for occupants of the car. A poorly installed windscreen will not provide the support required to deploy the car’s airbags, it will not help to maintain the rigidity of the structure that could result in serious injuries or even death. Tip Number 4: Handling large pieces of glass is awkward and requires the expertise of professionals. Replacing a windscreen requires two people to do the job correctly and safely. That is why you should contact Fast Car Glass today to set up an appointment to get your windscreen repaired or replaced. Call 07707550375 or 08000842929 today. We will get you safely back on the road in no time!